To resurrect the market after tax season, Digiarty scopes out a new way for price-sensitive people to spend less and get more through its 2013 iPhone iPad Android video software pack bundled with a tax-free gift. Digiarty proposes an April exclusive software giveaway offer for bloggers or anyone with websites, forums, Facebook or Twitter pages in hand, who can get license codes of WinX HD Video Converter Deluxe to launch contests. Today, Digiarty released the Traditional Chinese edition of its fastest multilingual DVD ripping and backup software - WinX DVD Ripper Platinum to meet the needs of more international users, especially in Hongkong and Taiwan. Digiarty Software today announced that its 18-day WinX HD Video Converter Deluxe giveaway has entered the countdown phase - the last 3 days to get this freebie for video conversion, YouTube download and DVD burning. The weekly focus of Digiarty is shifting to a 51% off Easter coupon code of WinX DVD Ripper Platinum issued officially, carved up from its heated 2013 Easter deals. Each attendee can get the fast and high-quality DVD ripping software at $29.95 through April 7. 2013 Easter giveaway of winxdvd.com has been finalized and an almighty HD Video Converter software becomes Easter present before April 7 for anyone who needs to convert MKV AVCHD MOD QT MOV WMV videos, download YouTube videos and burn DVDs. Digiarty announced that the 2013 Easter egg hunt activity will begin on next Thursday, March 21. This online event open for all internet users, adults and kids, will feature Easter gift giving, audio video software discount, etc. Today, Digiarty Software released the long-awaited Japanese version of WinX DVD Ripper Platinum and MacX DVD Ripper Pro, the DVD backup software for Windows and Mac, which hewed out a multilingual software development path. Right in the annual Japanese cherry blossom season, Digiarty advises tourists to keep the precious flower viewing memories. It stresses the importance of backing up the on-the-way travel videos onto computer with HD video conversion software. 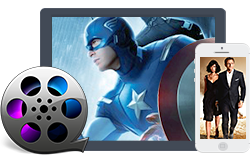 Since streaming falls into a significant multimedia data transmission and application mode nowadays, the way to stream DVD movies to Android and iOS devices also raises concern. The developer of Air Playit has coped with this challenge successfully. Digiarty has released the latest version of free WinX YouTube Downloader with improvement in both speed and quality. All FLV, MP4, 3GP and WebM online YouTube videos can be downloaded easily and safely to play on general players, Apple, Android, PSP, etc. Digiarty Software, Inc. freshly reveals 3 genuine affiliate marketing tips via the internet to help affiliates, including bloggers, webmasters, social network users and other internet users make more money online in 2013. To confirm the faultless support for ripping DVDs to new iPad, iPhone, iPod Touch/Nano/Classic, PS Vita and MKV videos, Digiarty has updated the DVD ripper software for Mac in every detail and embodied the enhancement in new version 4.0.0. Digiarty offers detailed advices on how to enjoy HD videos on Apple Android smartphones on the go without network access. It is hopefully useful for handy multimedia enjoyment on various smartphones going to run wild in 2013. Today, Digiarty Software, a well-known digital product developer, officially released Space Settlers – the first online Sci-Fi game for iOS iPhone iPad and iPod touch. This multi-player RTS game features Mecha fittings, fortress attack, legion war, etc. WinXDVD.com, one of the Boxing Day gift providers this year, announced to hand out discount coupon codes of DVD and video relevant software in 2012 Boxing Day Sale from December 26, lasting for an entire week. Digiarty offers blogging tips for all bloggers to win more visits and higher popularity in the time of Christmas. Five points, namely, language, content, design, SEO and link are emphasized. Today is the first day of the finale of mass Christmas Promo 2012 launched by Digiarty Software, who promises to award every visitor going in for New Year cheer with iPhone iPad video software pack before Jan.3, 2013. Digiarty Software announced the headmost 2012 Christmas gift for all PC users. WinX DVD Copy Pro, the top rated DVD backup software for copying DVD to DVD disc and ISO image, is totally free from Dec.14 to 20. Digiarty, a leading home-use multimedia enjoyment solution provider, offers heartfelt suggestions and tips on how to save money on Christmas and New Year shopping for common families. MakeUseOf, a booming daily blog that features cool websites, computer tips, and downloads, picked WinX DVD Ripper Platinum as one of the coolest websites and tools. Digiarty Software announced free Windows 8 compatible YouTube video downloader specializing in 1080p/i HD YouTube video downloading on PC. WinX YouTube Downloader is on the way to download and make duplicates of original YouTube videos for all YouTube fans free at its best. Digiarty Software announced the initial availability of new WinX DVD Ripper Platinum. After five months elaborate developing and repeated tests, this notably upgraded DVD ripper finally makes its debut - in the form of a giveaway during Thanksgiving season on November 16, 2012. Digiarty Software relives the tech upsurge month by updating the overall line of DVD video software to be more than iPad Mini and Surface supportive. Mainly with new output formats and profiles infused, all the DVD rippers and video converters for PC and Mac have fallen abreast with the up-to-date tablets released by Apple and Microsoft in October. Today, Digiarty launches a Halloween giveaway and welcomes all people to get new iPad ripper and HD Video Converter Halloween edition as freebies before Nov.4. They will help to play back DVD and HD videos on the new iPad 4/3/Mini, iPhone 5, Surface Tab, Galaxy S III, etc. Digiarty initiates the Halloween Preheat Program today with the most cost-efficient Halloween Software Gift Pack ever ready for every comer. Besides, it also provides a chance to get free DVD clone software with the purchase of WinX DVD Ripper Platinum. WinX DVD Ripper Platinum 6.9.2, the latest version so far, is the giveaway item on GOTD from Oct. 5 to 7. This renowned DVD ripper for PC resurfaces as freebie such that all visitors can replace their old DVD converters that fail to rip recent DVDs to their new iOS 7 devices. For fall is one of the most popular seasons to plan a wedding, Digiarty Software, with the slogan "Witness Love, Harvest Memories", contributes the recently updated WinX DVD Author to the newlywed intending to create unique wedding DVDs from MOD M2TS MP4 MPEG videos. 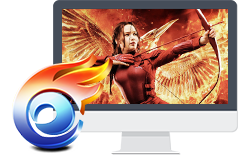 This week, Digiarty has pushed forward WinX DVD Ripper Platinum to Version 6.9.2, making it the most up-to-date DVD backup software with the ability to rip latest The Hunger Games and The Dictator DVDs Dto iPhone (5) and iPod (5). Digiarty has updated and released 100 percent clean free WinX YouTube Downloader (3.0.2) with all feedback bugs fixed and increased compatibility with new 1080i/1080p HD YouTube videos. Digiarty Software celebrates with students and teachers the new school year by offering up DVD player and iPhone ringtone maker before September 20. These gifts will help play all kinds of DVDs, regular videos and make iPhone ringtone out of audio files. Digiarty offers a useful solution to watch HD camcorder and DVD ISO image videos on Samsung Galaxy Player 5.8 by converting HD videos to AVI, MP4, 3GP, WMV, ASF, MKV and FLV supported by this Android device, allowing users to enjoy more HD videos on bigger screen in portable way. The latest discount offer from Digiarty shows that any proved teachers and students would get 6 audio/video/music software at only $35.95. The six-in-one back to school gift pack costs only one single piece of WinX DVD Ripper Platinum which is also included in. Digiarty announced the latest back to school giveaway by offering multitudinous Apple iPhone iPad Android related software to students, teachers and parents without authentication. All these back to school gifts are available before August 31, during which everyone can also get up to 6 multimedia software for $35.95 only. Today, WinXDVD.com started the annual Back to School Promo to give away the latest version of Apple iPad iPhone software. It is a unique school return deal not only for students, so more Windows and Mac users can take the advantage of the DVD to iPad iPhone video software giveaway before Aug.31. Digiarty updated the entire Mac software product line to support Mac OS X 10.8 Mountain Lion. All of its commercial Mac software are now fully compatible with the latest OS X version. Besides, with the arrival of back to school sales tax holiday, a chance to get tax-free Mac DVD backup software, iPhone iPad ripper and video converter is open from Aug. 3. Digiarty officially released WinX DVD Ripper Platinum new version - V6.9.0. All existing users can update this personal DVD backup software to the current version for the better support of latest encrypted DVDs, the new kernel computing method for DVD to ISO backup and more. BitsDuJour.com, a website providing all kinds of software deals, is giving away unlimited number of WinX DVD Copy Pro for perfect DVD clone and copy. According to the schedule, this 100% off 24-hour-only deal was active from 3:00 a.m Eastern Time on July 20. Digiarty has rolled out a summer holiday promo for millions of teachers and students. A Holiday Video Pack is now presented, included with four Windows programs for DVD backup, video conversion, music/movie streaming and more for 2012 summer break. Apple and many global famous companies have announced or will soon announce 2012 educational discount and promo. It is good timing to take advantage of the soon-to-be back to school gifts to get free MacBook Air, free iPhone, free iPod, and the related such as iPhone software discount for students.